Save time cleaning up after your pet. Safety and mobility for your pet. How to set up and use the 250m Remote Trainer. Can I use the remote trainer on aggressive dogs or use it to stop a dog from being aggressive? We do not recommend any of our products be used on aggressive dogs. If you are unsure if your dog is aggressive, please consult your veterinarian or a certified trainer. Once you have correctly placed the receiver collar on your pet (see your manual or read How do I fit the collar? ), it is time to find the stimulation level that is best for him. This is called the Recognition Level. At the right recognition level, you will notice only a slight change in your pet's behavior, such as looking around in curiosity, scratching at his collar, or flicking his ears. Follow these steps to find your pet's Recognition Level. Make sure the collar is delivering static stimulation by using the test light tool. If the test light tool doesn’t light up, see The test light does not come on when I press a button on the remote. Starting at the lowest level of stimulation, press the stimulation button continuously for 1 to 2 seconds. If your pet shows no reaction, repeat the stimulation level several times before moving up to the next stimulation level and repeating step 1. YOUR PET SHOULD NOT VOCALISE OR PANIC WHEN RECEIVING STIMULATION. If this happens, the stimulation level is too high. Go back to a lower stimulation level and repeat the process. Move up through the stimulation levels until your pet reliably responds to the stimulation but does not vocalize or panic. If you have tried the highest level of stimulation and your pet continues to show no response, check the fit of the collar or trim your pet’s fur where the contact points touch skin (read more about collar fit). Then go back to step 1 and repeat the process. If the stimulation is working but your dog is not responding, follow the steps under My dog is not responding to the remote trainer. If after completing all of these steps your dog still does not indicate he is feeling the stimulation, please contact our Customer Care Centre. Eliminate one misbehaviour or teach one obedience command at a time. If you move too fast with training, your pet may become confused. Be consistent. Communicate with your pet using the remote trainer every time he misbehaves. Unless you can supervise him, it is recommended that you restrict your pet from situations in which he has a history of misbehaving. However, setting up a situation as a training session can dramatically improve your chances of success. If your pet reacts to the tones by hiding or acting fearful, redirect his attention to a simple and appropriate behavior, such as the sit command. Pets should be at least 6 months old before using the Trainer. Only let responsible family members use the Trainer. It is not a toy. Other pets in hearing range will be affected by the training tones. Therefore, training sessions should be conducted out of hearing range of other pets. Never use the Remote Trainer to correct or eliminate any form of aggressive behaviour. If you are unsure if your dog is aggressive, please consult your veterinarian or a certified trainer. How do I train my dog? Download this guide or watch this video. I have installed a new battery or charged the components, and the collar does not work. Be sure that collar and remote are correctly charged and/or have batteries with enough charge. Check if the collar and remote are still synchronised, or just as a precaution, follow the procedure anyway. Check your manual for instructions on synchronising for your specific product. Remove the battery from the collar and press a button on the remote to give a stimulation. Then reinsert the battery and try again. The system needs to be synchronised for this to work. My dog is not responding to the remote trainer. Verify collar is turned on. Check batteries or check battery charge of collar and transmitter. Check the stimulation on the collar with the test light tool (for collars with static stimulation). Make sure the transmitter is set to the right stimulation level or mode. Maybe a mode has been chosen for more than 1 dog, while you only have 1 dog/collar synchronised. Increase the stimulation level. You can use the Boost button if your system has one. Synchronise collar and transmitter if necessary. Your dog may have become used to the stimulation. Stop using the collar for a few weeks, or switch to tone mode if your collar has this feature. Make sure your dog is within range of the system. Test the system standing very close to your dog, then gradually increase the distance to find the system’s maximum range in that location. 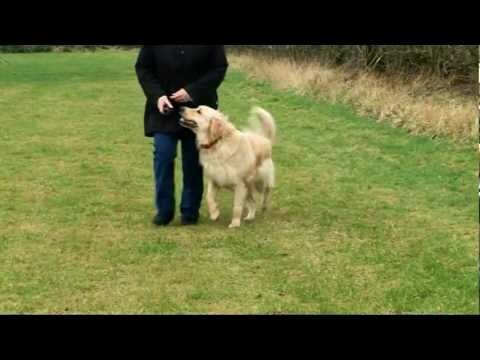 If your dog is not responding but the collar is working, repeat training steps. Some dogs benefit from an occasional reminder lesson. If there was a specific incident when your dog failed to respond to the trainer, consider the situation. Was there a distraction, such as a rabbit running by or a barking dog? You might need to use a higher level of stimulation in these cases, and you can use lower levels when your dog is more relaxed or less distracted. My remote trainer has reduced range. Typical range is 65-75% of the maximum range due to terrain, weather, buildings, cables, hills/valleys, power lines, etc. If you are in a high-influence area, for example near big radio-emitters or high-power-lines, this can reduce greatly the range. The same can happen if you are on the top of a hill while your dog is in the valley, or vice versa. Try your trainer in a different area. Replace the batteries, or if they are rechargeable, ensure the collar and transmitter are charged. Ensure the remote transmitter and the collar are correctly synchronised. If your remote has an antenna that can be screwed on, make sure it is tight. Once my pet is trained and has been obeying my commands, will he have to continue to wear the receiver? Probably not, but it depends on how well your dog listens to your commands without the collar on. He may need to wear the collar from time to time for reinforcement. The test light does not come on when I press a button on the remote. Be sure the test light is connected correctly to both prongs. Increase the stimulation level by one. On low levels, the light will only glow a bit, so it can be hard to see. What age does my dog need to be before I can start using the remote trainer? Your pet should be at least 6 months old and be able to recognise basic obedience commands such as ‘sit’ and ‘stay’. How do I fit the collar? Make sure that the battery is not installed in the receiver collar. Start with your pet standing comfortably. Center the contact points underneath your pet’s neck, touching the skin. If your pet has a long or thick coat, consider using the long contact points to reach through the fur. These can be purchased by contacting our Customer Care Center. You might need to trim the hair around the contact points to make sure that contact is consistent. Check the tightness of the receiver collar by inserting one finger between the end of a contact point and your pet’s neck. The fit should be snug but not constricting. Allow your pet to wear the collar for several minutes then recheck the fit. Check the fit again as your pet becomes more comfortable with the receiver collar. If the collar strap is too long, you can trim the collar. Mark the desired length of the receiver collar with a pen. Allow for growth if your pet is young or grows a thick winter coat. Remove the receiver collar from your pet and cut off the excess. If your receiver has a nylon strap, seal the edge of the cut collar by applying a flame along the frayed edge. Is the stimulation safe and humane? While the static stimulation is unpleasant, it is harmless to your pet. Electronic training devices require interaction and training from the owner to achieve the desired results. What do I need to do if my pet’s neck becomes red and irritated? This very rare incident occurs when the collar is worn longer than designed. We recommend it not be worn more than 12 hours per day. Please discontinue using the collar until the affected area has healed and consult a veterinarian if necessary. This situation is not limited to static stimulation collars; it can happen with any collar your pet wears for too long.